I picked this book up during our holidays in England. 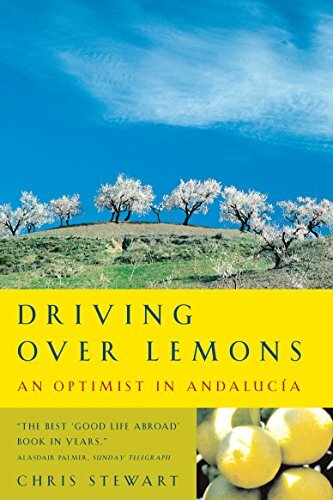 As a child, I lived in Spain, and I am fascinated by stories about people trying to make a living in a new country, especially if in rural areas. I am curious about this book. Oh, what a lovely read this was! Chris Stewart truly is a gifted writer. It was so satisfying to read about his adventures with the neighbours, the sheep herd, the olive trees, the ancient water systems and the ever present cicadas. And so I learned that it can be bitterly cold in these mountains, that you can really live off your own land with enough experience and that I want to read everything this man has written. Reserved for a friend of mine, who has lived in Spain as well. een donatie voor de Teuge-bibliotheek. Ik weet werkelijk niet meer, aan wie ik dit beloofd had.